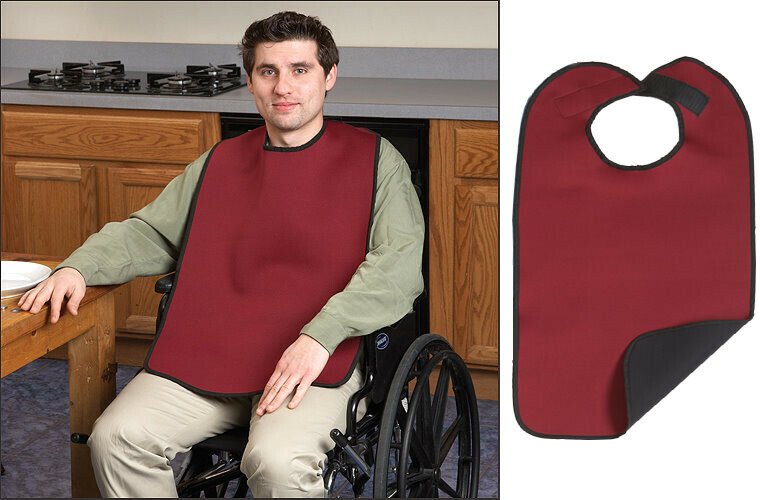 Neoprene clothing protector is attractive & stain resistant. Measures 18" x 33" and comfortably wraps around the neck and secures with hook-n-loop closure. Long enough to protect lap from spills. Constructed from neoprene; which is durable, flexible and water resistant.